A unique opportunity to reach new clients. 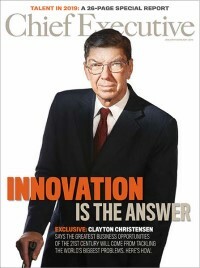 Announcing The 2011 CEO Guide to Leading Law Firms. This comprehensive guide will direct chief executives to the firms that can fulfill their extensive and complex legal needs. Don’t miss this unique opportunity to market your firm and its expertise to CEOs. The deadline for placement is July 20th. To learn more about this special feature in our September/October 2011 issue please click here to download the PDF brochure.